2. Policy Changes. We may update this Policy in our discretion. We will post any new Policy here, and you should review this Policy regularly to make sure you are aware of its terms. You can determine if this Policy has been revised since your last visit to the Site by referring to the effective date. We will provide notification of significant changes to this Policy through the Site. In addition, if changes are significant and if you have an account on the Site, we will also notify you either (i) via the contact information you have provided to us; or (ii) by requiring that you agree to the revised Policy the next time you log into your account. Your use of the Site following a revision to this Policy constitutes your acceptance of and agreement to the Policy, as revised by us. The revisions will apply to all information collected on and after the date on which we post the revised Policy. 3. Intended Users. By using our Site, you affirm that (i) you are at least eighteen (18) years old; (ii) you are a United States resident; and (iii) you have authority to agree to this Policy and are competent and capable of understanding, agreeing to, and complying with this Policy. Our Site is not directed to children under age thirteen (13), and children under age 13 are prohibited from using the Site. We do not knowingly collect information from (or permit submission of information by) anyone under age 13. If we learn that we have received information from a child under age 13 in violation of this Policy, we will delete that information from our files. a. Personal Information. To use certain features of the Site and to engage in certain activities through the Site, we will require you to provide us with information that personally identifies you (“Personal Information”). You are never under any obligation to provide us your Personal Information. If you choose not to provide Personal Information, you can browse the Site; however, you will not be able to use portions of the Site that require your Personal Information. When you do provide us your Personal Information, you are authorizing us to use that Personal Information in accordance with this Policy and to store your information on our servers located in the United States. Personal Information includes the following categories of information: 1) Your full name; 2) Contact Data (such as e-mail address, physical address, billing address, phone numbers, other information that could be used to contact you or identify you personally, and username and password); 3) Credit card information; 4) Demographic Data (such as your gender and zip code); 5) Shirt size; 6) Photos, such as photos of your hunts; 7) Information about the bow you use and information about your hunts; 8) User preferences; 9) Other information you actively enter into the Site, or otherwise provide to us through offline contacts, such as email, letter, or phone call. b. Automatically-Collected Information. When you use the Site, we automatically track, collect, and store the following types of information (referred to as “Automatically-Collected Information”): 1) Referring source (i.e., the site you visited prior to visiting our Site; 2) Date and time of Site access; 3) Site pages visited and Site features used, and the order of use; 4) Type of computer or other operating device accessing the Site, type of browser used to access the Site, and type of operating system you use; and 5) Other similar information about the interaction between your browser and the Site. Unless otherwise stated in this Policy, Automatically-Collected Information may be combined with your Personal Information. a. Browser Cookies. We collect and store Automatically-Collected Information through a standard feature found in browser software called a “cookie.” Cookies commonly-used information gathering tools, such as cookies and web beacons. Most browsers automatically accept cookies, but you can block cookies at any time by changing the preferences in your browser and/or delete cookies from your hard drive or other operating device. You can also have the browser notify you when you receive a new cookie. Please refer to your browser for information on how to disable and control cookies. If you choose to block or delete cookies, our Site may not function properly on your computer or other operating device, and certain features may not be available to you. b. Flash Cookies. In addition to browser cookies, we use other locally stored objects (sometimes referred to as “flash cookies”) stored in an Adobe folder on your hard drive or other operating device. These flash cookies will not be deleted when you delete cookies from your browser, and even if you set your browser to not accept cookies, these cookies will still be stored on your hard drive or other operating device when you use our Site. We may use this technology for purposes such as information security and fraud prevention, and to collect and store information about your preferences and navigation to, from, and on our Site. We do not use this technology for online behavioral advertising purposes. Please refer to information provided by Adobe for information on how to disable and control flash cookies. If you choose to disable or otherwise control flash cookies, our Site may not function properly on your computer or other operating device, and certain features may not be available to you. 6. Web Beacons. We may use web beacons (also called clear GIFs or pixel tags) to collect Automatically-Collected Information about your use of the Site and your viewing and use of emails we send to you. Web beacons are graphic image files imbedded in a web page, Site feature, or email that provide a presence on such web page, feature, or email and send back to its home server information from the user’s browser. The information collected by web beacons allows us to statistically monitor how many people are using the Site and opening our emails, and for what purposes. For example, we might place a web beacon in a marketing email to notify us when a user clicks on the link in the email. We do not collect Personal Information with web beacons, and we do not link information retrieved from web beacons directly with Personal Information you’ve given us. We will use your Personal Information for the purpose stated when we ask for such Personal Information (e.g., to enter a promotion, to upload your photo to our Trophy room, or to access your account), to present our Site and its features to you, to allow you to participate in interactive features on our Site, to respond to any requests or questions you have about the Site, to contact you regarding your account or your use of the Site, and to provide required notices. We use your credit card information to fulfill product purchases you initiate. We provide data encryption during the payment process. We only use your credit card information to charge you for products you order through the Site, and we only retain your credit card information to complete your order. We do not retain your credit card information after the transaction is complete. We use a third-party intermediary to manage credit card payment processing. Our third-party payment processor follows Payment Card Industry (“PCI”) standards for use of credit card information, and our third-party payment processor is PCI-compliant. Our third-party payment processor is not authorized to use your credit card information in any way other than to process payments on our behalf and is required to keep the information confidential. We only share your credit card information with our third-party payment processor, your credit card provider, and financial institutions to process payments. 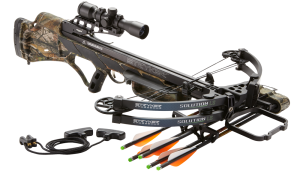 We may use your Contact Data to provide you information about Bowtech’s products or services that may be of interest to you, only if you have opted-in to receiving such information. We will never share your Contact Data with any third party for their own marketing or other independent uses. If we use your Contact Data to send you marketing communications, we will provide you with an unsubscribe mechanism to opt-out of receiving future marketing communications, or you can contact us to request that we not send you marketing communications. If you request that we not contact you for marketing purposes (either by using the unsubscribe mechanism or contacting us), we reserve the right to contact you for non-marketing purposes relating to your account or other use of the Site. We may use your Personal Information and Automatically-Collected Information to customize and tailor your experience using the Site, displaying content we think you might be interested in and according to your preferences (but we do not track your activity across multiple websites for the purpose of serving targeted advertising to you). We may use Personal Information and Automatically-Collected Information to help diagnose problems with the Site, to make the Site more compatible with the technology used by our users, to analyze statistical use patterns, and to otherwise improve our Site. For example, we may use Automatically-Collected Information to track what our users look at most so we can recognize and provide more of the desired content. We also use Personal Information and Automatically-Collected Information as described elsewhere in this Policy. 8. Information Shared with Third Parties. 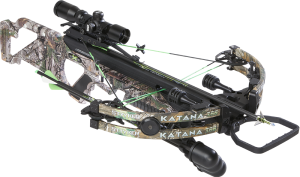 Except in the circumstances described in this Policy, Bowtech does not share, sell, rent, license, trade, or otherwise transfer or disclose your Personal Information with or to third parties for their promotional purposes or otherwise. We may share de-identified, aggregated Automatically-Collected Information without restriction. a. Third-Party Service Providers. We share Personal Information and Automatically-Collected Information with our third-party service providers who assist us by performing services related to our operation of the Site (such as hosting, data storage, payment processing, and security) and to conduct marketing on our behalf. These third-party service providers are not authorized to use your information in any way other than as described here and are required to keep the information confidential. For more information regarding third parties who will have access to your credit card information, see Section 7 above. b. Third-Party Analytics Services. We may use third-party analytics services to assist us in better understanding our Site users. For example, we use these services to track and analyze certain Automatically-Collected Information, such as feature usage. We only ever provide these service providers with (or allow these service providers to collect on our behalf) Automatically-Collected Information. We use the information collected from these service providers to make the Site better and easier to use. The information we receive from these third parties may be re-associated with your Personal Information after we receive it back from these third parties. These third parties are not authorized to use your information in any other way and are required to keep the information confidential. d. Required by Law. Bowtech reserves the right to release your information if Bowtech believes in good faith that (i) such release is required to comply with any law, rule, or regulation, or any search warrant, subpoena, court order, or similar legal process; or (ii) disclosure is necessary to protect or enforce Bowtech’s rights or property, to protect the rights or property of others, to protect your safety or the safety of others, in emergency situations, to defend against legal claims, to enforce our contractual or other rights, or to take action regarding illegal activities or suspected fraud. e. Public Areas of Site. The Site contains areas where users can post content that will be viewable by other Site users, such as our Trophy room. You should be aware that when you voluntarily disclose Personal Information on these areas of the Site for public viewing, the information may be collected, stored, used, and disclosed by other Site users. Such activities are beyond our control, and we shall have no responsibility for or liability regarding the protection or security of such information. Do not post Personal Information that you want to keep private on these areas of the Site. 9. Controlling Your Information; Opt-Out Rights. a. Stop Marketing Communications. See Section 7 above regarding how to opt out of receiving marketing communications. b. Review and Modification of Information; Deleting Information. Users with accounts can review or modify the Personal Information included in their Site accounts by logging in and accessing their accounts, or by contacting us (see contact information below). If you want to close your Site account and/or ask us to delete your Personal Information from our databases (even if you don’t have an account), please contact us (see contact information below).Upon receipt of your request, Bowtech will use commercially-reasonable efforts to remove your Personal Information from our databases, but see Section 10 below regarding why we may retain some information. Please note that your account and all features of the Site may not function properly if we remove any or all of your Personal Information. 10. Retention and Storage. See Section 7 above regarding retention of your credit card information to complete purchases you initiate through the Site. We may retain all other Personal Information and Automatically-Collected Information in our databases until you ask us to remove your information from our databases. Note that even after you ask that we remove your information from our databases, it may be impossible to remove some information, such as information tracked in our web server log files and information that may reside in backup files. This residual information is retained to preserve the integrity of backed-up files and for business continuity purposes. We may also retain Automatically-Collected Information even after you request that we remove your information from our databases, for use in the aggregate and to analyze and improve the Site. Further, even after you request that we remove your information from our databases, we may retain Personal Information and Automatically-Collected Information in accordance with any document retention policy and to comply with applicable laws, rules, regulations, or guidelines; to prevent fraudulent activity; to protect ourselves against liability; to resolve disputes; to enforce our contractual or other rights; to permit us to pursue available remedies and limit any damages that we may sustain. 11. Links to Third-Party Websites. This Policy applies only to information collected through your use of the Site. 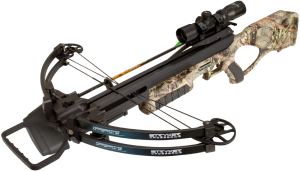 The Site may contain links to other websites, products, or services that are not owned or controlled by Bowtech. 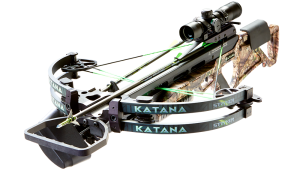 Bowtech is not responsible or liable for the privacy practices or other actions of these third parties or their websites, products, or services. These third parties may have their own privacy and security policies. We advise you to review such policies to determine what information about you may be collected and used when you use these linked websites, products, or services. 12. Security of Information; Disclaimer. We have generally-accepted industry standard physical, electronic, and procedural security measures in place to protect against the loss, misuse, and unauthorized access, disclosure, alteration, and destruction of information we collect and store. These safeguards include secure login authentication for user accounts, encryption of data during transmission, firewalls, intrusion detection, vulnerability scans, and other security measures. The safety and security of your Personal Information also depends on you. You should not send us credit card information or other sensitive information via email, and you should not place orders with us via email, as this is not secure. If you have an account, you are responsible for keeping your username and password confidential. Please notify us if you become aware that your Personal Information is lost, stolen, or used without permission; we may disable access to your Site account in order to prevent an unauthorized third party from accessing your account. Further, in the event of an unauthorized use of your credit card, you should contact your card issuer immediately. 13. Contact Us. If you have questions regarding this Policy, our privacy practices, or your information, please contact us. 14. Unenforceability. If any part of this Policy is determined to be invalid, illegal, or unenforceable, pursuant to applicable law, then the invalid, illegal, or unenforceable provision will be deemed superseded by a valid, legal, and enforceable provision that most closely matches the intent of the original provision, and the remainder of this Policy shall continue in full force and effect. 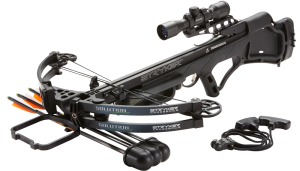 © 2015 Bowtech, Inc. All Rights Reserved.